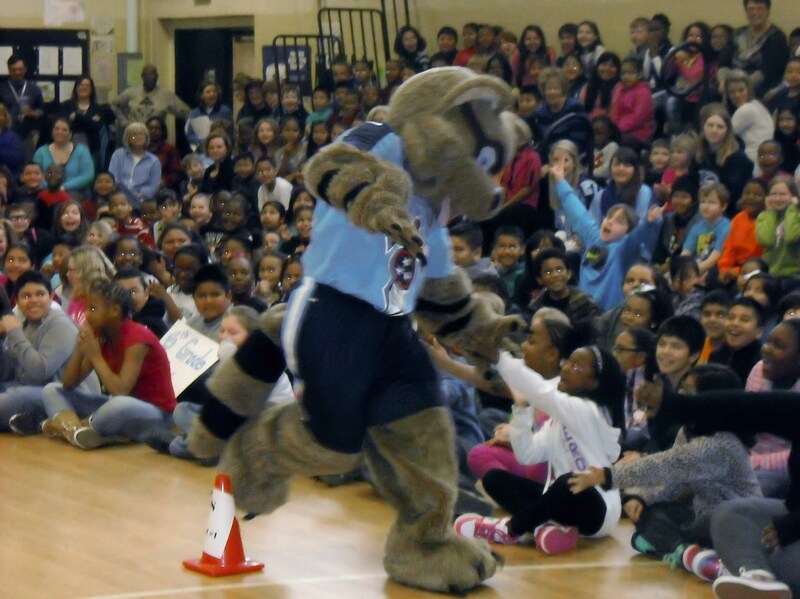 Smokey Barn News Jan. 23, 2014 Springfield, Tenn./White House, Tenn.
Westside Elementary and Heritage Elementary schools recently hosted the Tennessee State Parks and Tennessee Titans Play 60 program where they were challenged to healthy food and activity choices. The one-of-it’s-kind program, sponsored in part by the Department of Health Project Diabetes Grant, teams the state park system with the Titan NFL team to encourage young people to participate in 60 minutes of play each day. 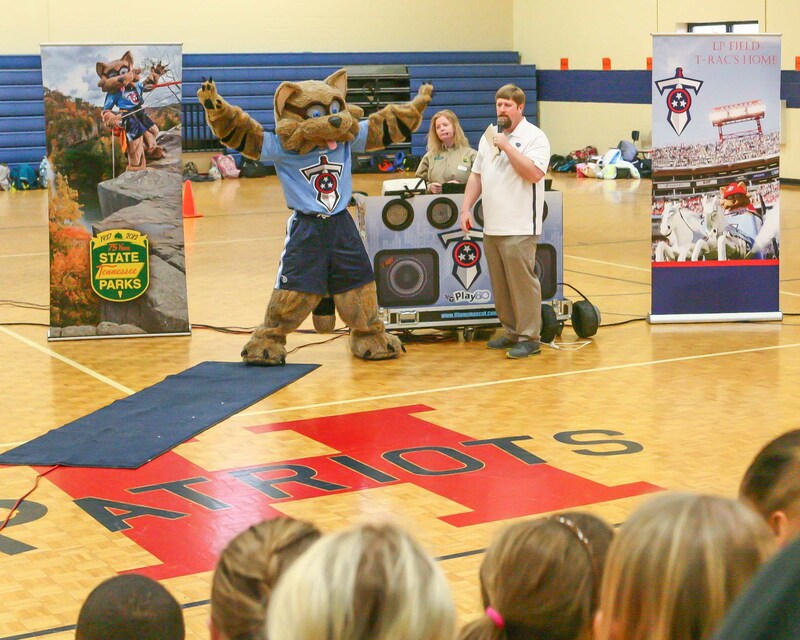 During the presentation, students met and were entertained and encouraged by the Titan’s, “T-Rac,” along with the state parks system mascot, Ramble, the raccoon. 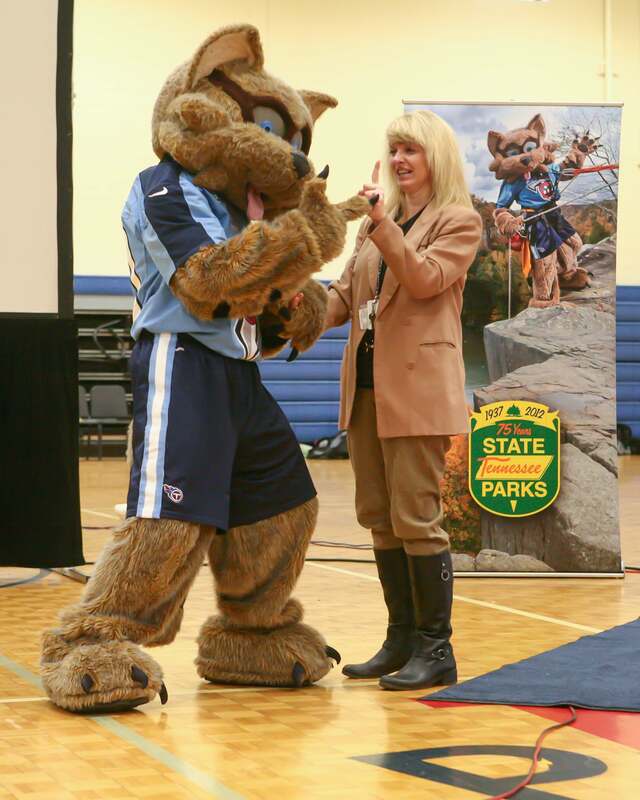 The two, along with regular partners from both the Titans and Tennessee State Parks, have given more than 159 school programs to more than 91,000 Tennessee middle and elementary school students. 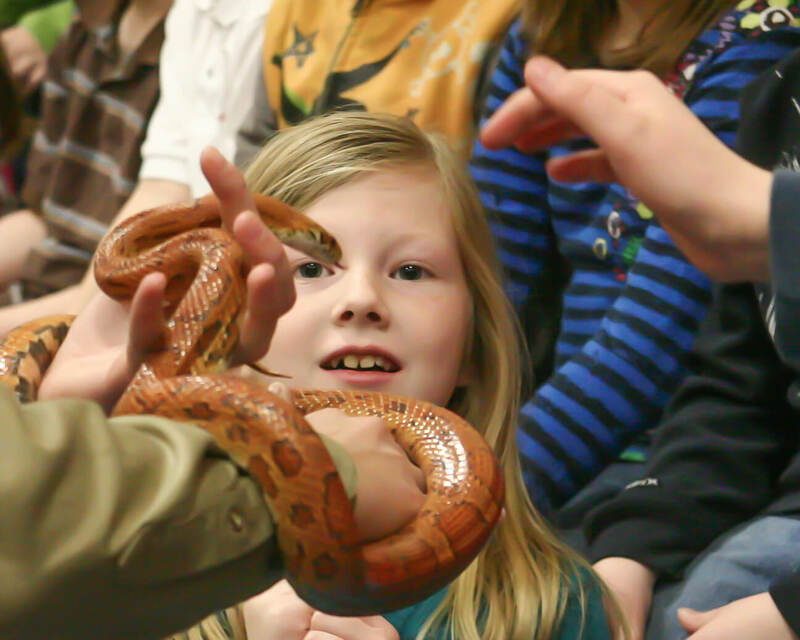 In addition to the presentation, students were introduced to some of the state’s wildlife that might be encountered in an outdoor setting. Each student left the event with the theme, “Play-60,” reverberating in their ears as a hopeful reminder to them to either begin or continue with healthy exercise and activities.